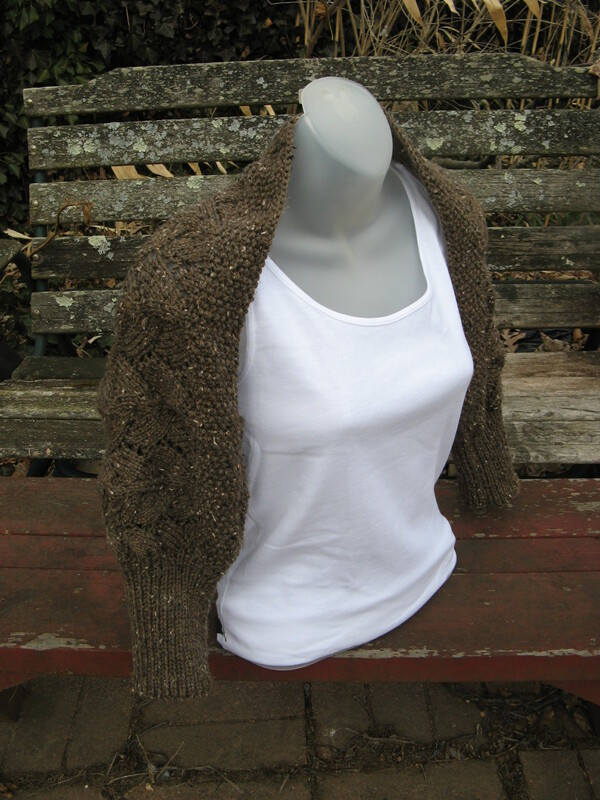 Easy Lace Shrug… It’s Finally Done! 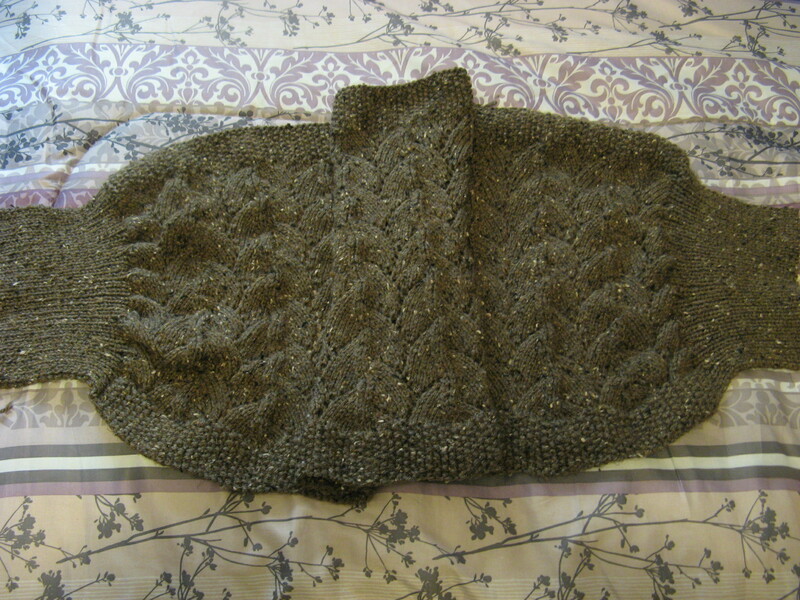 This is where I was when I last posted… I still had to two more sections of the lace pattern to knit up, the seed stich border to complete and I also had to the cuffs to do which I needed to pick up stitches for along the border. Something I had never done before and while it seemed challenging at first I quickly got the hang of it. Although I did have to pull out the first cuff I did because I somehow miscalculated the number of stitches or more likely mistook some space for stitches when they weren’t. 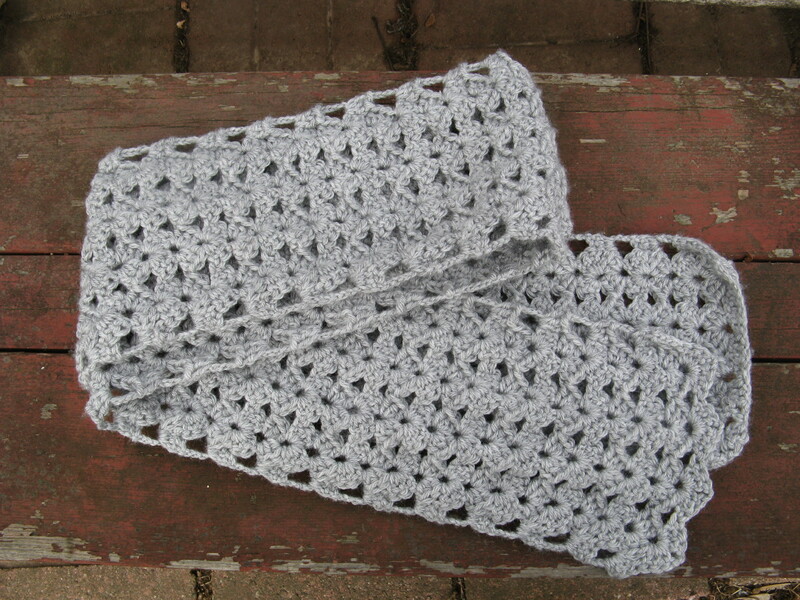 So, after I corrected my mistake I successfully knitted the cuffs onto each end of the shrug. 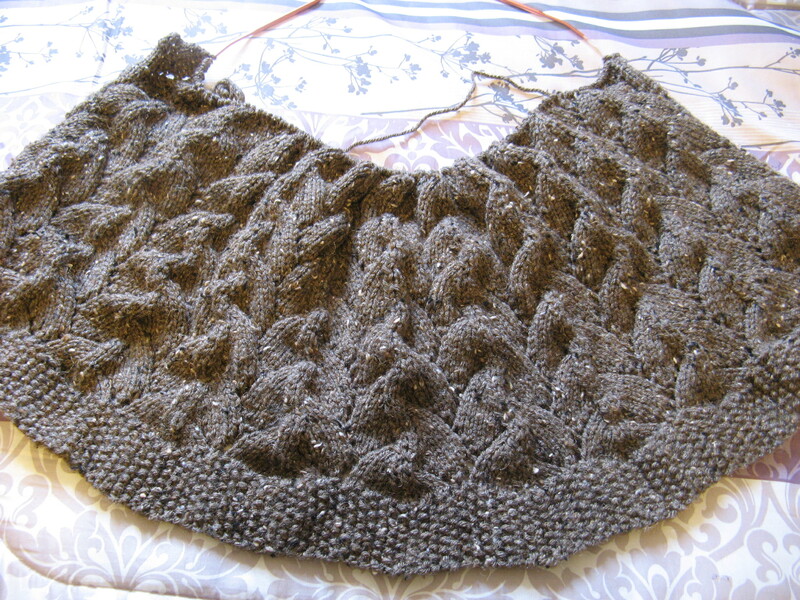 And finally I seamed the cuffs together and it was done (YAY!!!) 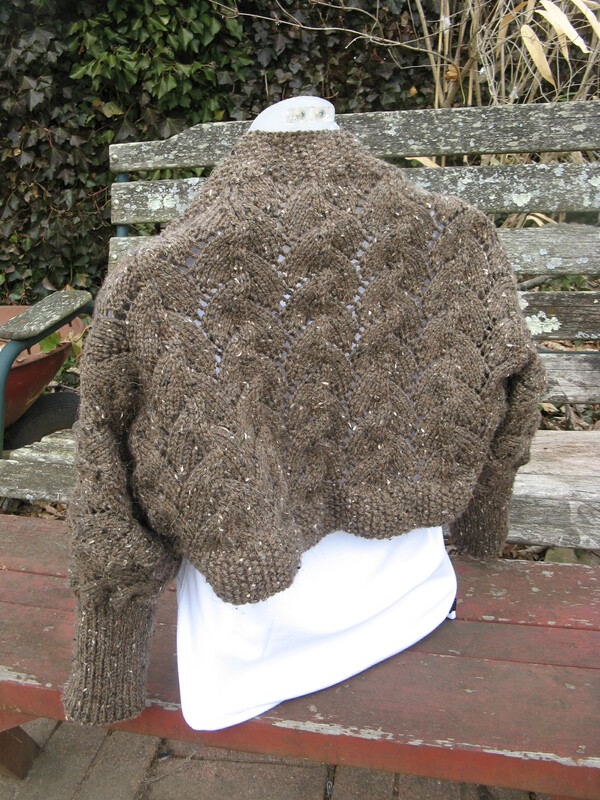 I’ve been thinking about knitting up a sweater for myself since I got this down. I probably should start soon though so that I can be sure to have it done before next winter. 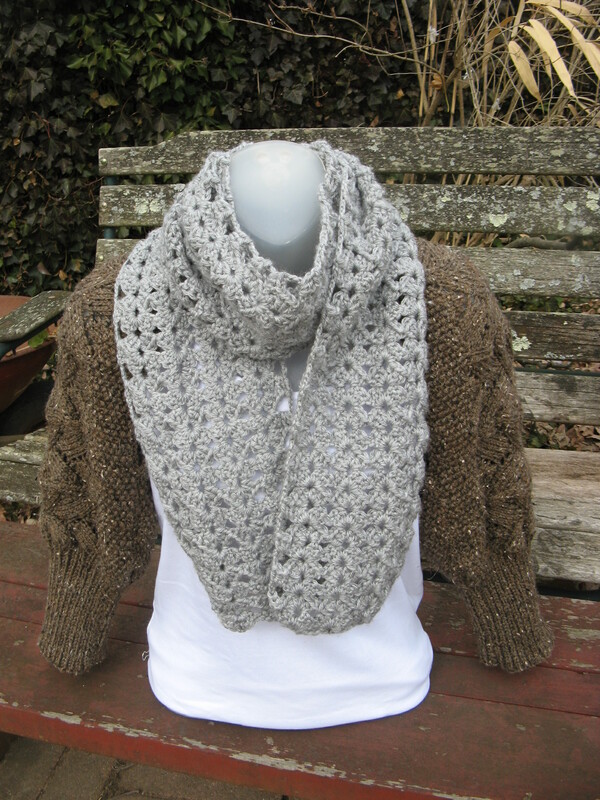 One other thing I got done… The scarf I had mentioned in the post about the shrug. And while it’s officially Spring today the temperatures will be on the colder side early next week so I am thinking I may get to wear this before I have to pack it away for next winter.